She was born in Buenos Aires, Argentina, in 1977. She studied guitar with Irma Costanzo and musical composition at the National University of the Arts (I.U.N.A. ), where she got a BA in Musical Arts in 2010. In 2010 she was awarded with the Melos-Gandini fellowship to study composition with Gerardo Gandini and Marcelo Delgado. The outcome piece was published by Melos Musical Publisher. 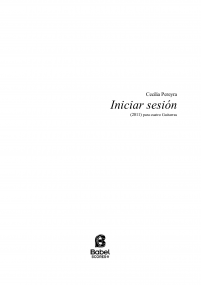 In 2011 took part of the seminar thought by Mariano Etkin and María Cecilia Villanueva. Later on she was part of the II Residence for the Creation of Micro-operas at the TACEC- Centre of Experimentation and Creation of La Plata Argentine Theater. 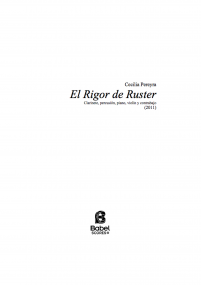 She got the SADAIC price for her symphonic work “Y su sombra”, also the second price of the National Art Fund, “50 years of the CLAEM”, for “Inciar Sesión”, and the first price at the National Composition Contest of the II Composition and Contemporary Music Micro-Workshops for her work “El Rigor de Ruster”. She currently works as teacher at the I.U.N.A. Musical Art Department, teaching Introduction to Composition and Forms and Musical Analysis.